Barriers, ranging from the organisational to the technical, hinder the opening of data. In the FP7 ENGAGE project a modular and flexible open data infrastructure has been realised, facilitating the opening, finding, sharing and use of data. The infrastructure enables researchers from different disciplines and policymakers to collaborate. What problems does the project intend to solve? Opening of data potentially leads to benefits, such as enhancing transparency and obtaining new insights by scrutinising public data and developing innovative applications. However, in practice, the focus is mainly on making open data available, without taking into account the user needs. Tools for using the data are fragmented and hardly integrated. This all hinders the use of data. Another challenge for researchers, citizens and government officials is to collaborate in the provision and use of data. While such collaboration is needed to optimally use data and facilitate learning, it is hardly done. The potential of open government data is not yet being fully exploited, because of the absence of engagement between users and providers and between data users. To facilitate data usage there is a need for publishing and for integrated tools. The project contributes to solving these challenges. How does the project impact society? TPM developed an open data infrastructure that provides tools for dataset acquistion, publishing and processing. It provides a social and collaborative space for open data users. The initiative acts as a one-stop shop to more than 52,000 datasets and has developed a community of over 700 registered users. Registered users gain access to services such as the submission of data requests, creating groups to commonly work on datasets, or the expansion of existing datasets. There is a growing community of users helping each other. Data sources can be combined to create new insights into, for example, the effect of public transport on pollution, which can then be used to make well-founded decisions on routes and procurement for public buses. The outcomes of the project have been presented at non-scientific events, such as meetings with Dutch and Greek government officials and at various workshops. The infrastructure was also used in practical lectures to students of TU Delft and the University of the Aegean in Greece. 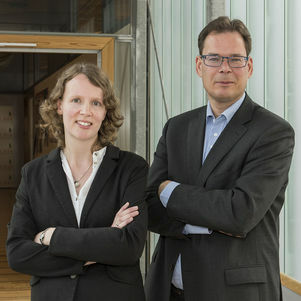 The NedDat foundation and the Dutch Ministry of the Interior and Kingdom Relations asked TU Delft to act as an expert in the development of a Dutch National Open data infrastructure. Some of the concepts from the project will be included in the next generation of open data infrastructure. The Greek government also uses various infrastructure elements from ENGAGE. This represents an important contribution to society, since it resulted in improved public transparency and accountability. A case developed by IBM (one of the project partners) on the use of open data concerning mobility and traffic examined whether the bus services in Tel Aviv were aligned with the needs of the citizens, for example. The ENGAGE project ended in May 2014 and enabled the description, sharing and visualisation of open data. A follow-up H2020 Europe-wide project was acquired named VRE4EIC (A Europe-wide Interoperable Virtual Research Environment to Empower Multidisciplinary Research Communities and Accelerate Innovation and Collaboration). It is building a system that is intended to target at least 70,000 researchers throughout Europe in conducting multidisciplinary data-driven scientific research to accelerate innovation and collaboration. In this project, privacy enhancement and trust enhancement mechanisms and architectures are developed to open more data in real time (driven by the Internet of Things) and to further lower the threshold for use. Use of elements of the ENGAGE project in the Dutch national open data infrastructure is being discussed by the NedDat foundation and the Dutch Ministry of the Interior. Taught in open data/open government courses in the Netherlands and Greece. Nearly 1,000 users and more than 52,000 datasets and 133,000 resources are available through ENGAGE infrastructures. Acquired a follow-up project, building a system that will support at least 70,000 researchers throughout Europe in conducting multidisciplinary data-driven scientific research (VRE4EIC). FP7 ENGAGE: European Commission FP7 INFRASTRUCTURES Programme (CP-CSA project). VRE4EIC: H2020 E-INFRA-9 Programme of the European Commission (Research and Innovation Action).